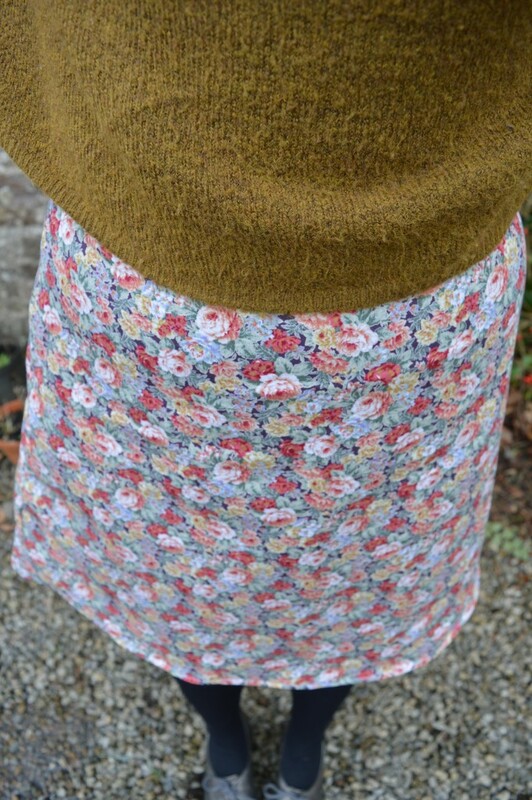 So here’s another Delphine skirt, this time made from a floral fabric that kind of reminds me of curtain fabric (in a good way). This one is fully lined with some extra muslin type fabric I had in my stash and hemmed to an acceptable length to wear for work. What’s not to love about this skirt? I could make hundreds of different versions I reckon. 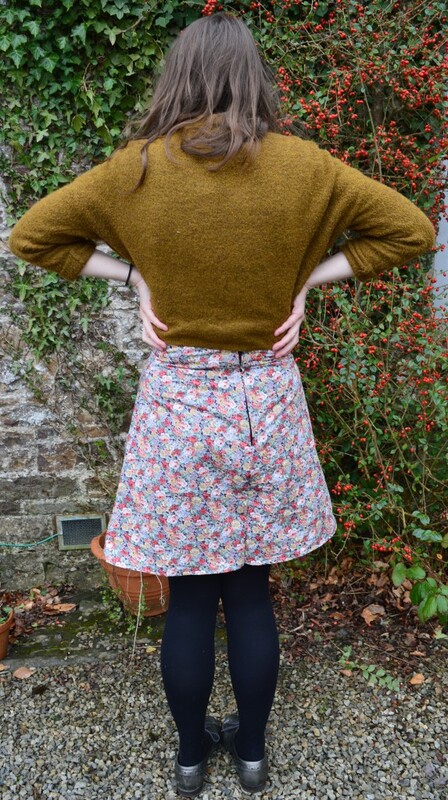 I love its A line shape, it can be shortened or lengthened to the desired length and, whatever fabric you make it out of (drapey or sturdy, plain or patterned) it creates a whole different skirt. 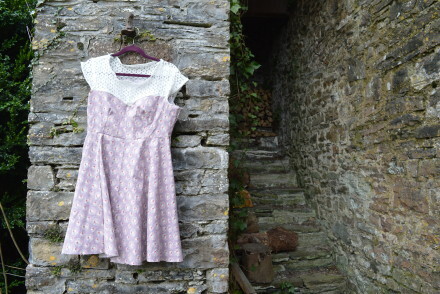 This is a definite go-to pattern and one of my ultimate favourite sewing patterns. 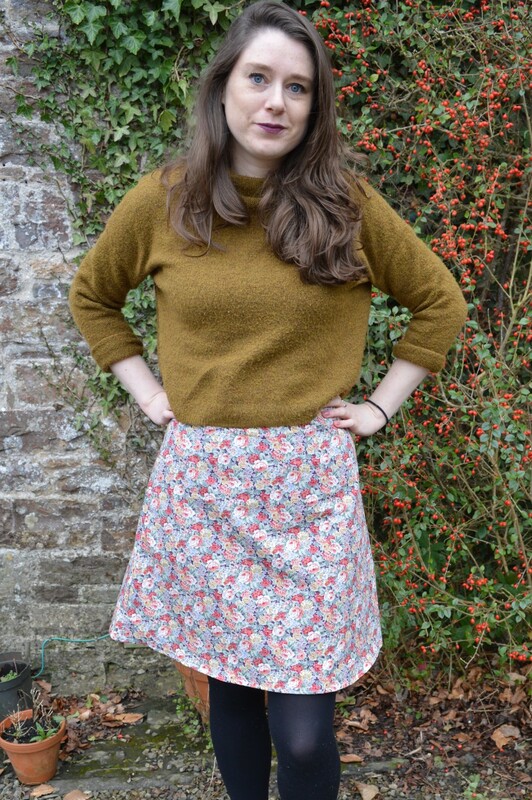 I know I’ve also mentioned my recent love of the slightly similar Prima pattern here and here too, and that one too is a real contender for favourite skirt, but I guess this is one I’ve had more experience of and the fit is perfect.